Start Up Questions: Liability Insurance, Billing Insurance, Incorporation, etc. Programming considerations: Therapeutic Riding, Hippotherapy, TF-EAP, EAGALA, and more! You will receive an email with instructions for scheduling after purchase. 3 Session Consulting Package - Save $45!! 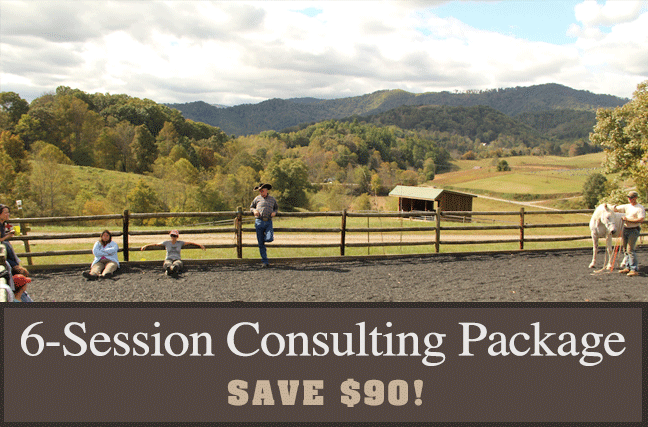 6 Session Consulting Package - Save $90! 9-Session Consulting Package - Save $135! Contact us with any questions about which package is best for you! All consultations must be redeemed within one calendar year of the purchase date.